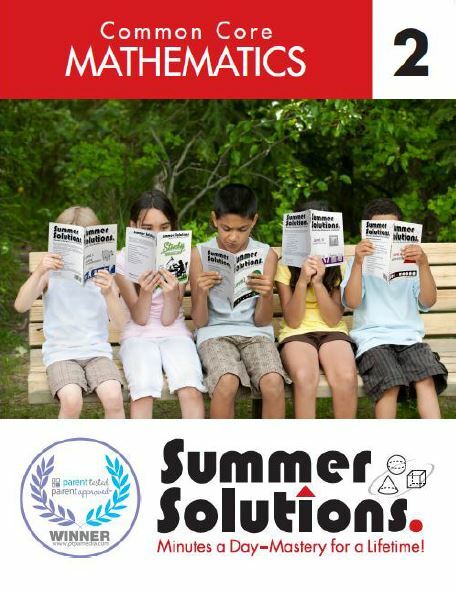 Looking for a way to make sure your child’s math and language skills stay sharp this summer? 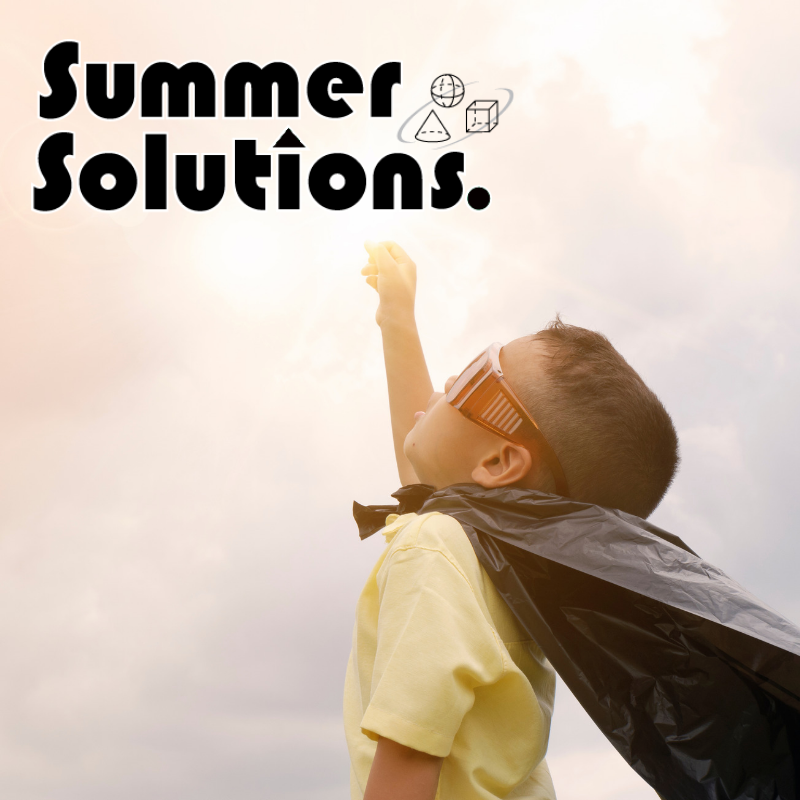 Summer Solutions is the answer. “The summer slide,” “summer learning loss,” “summer brain drain”—these are all names for a phenomenon parents and teachers know all too well. Over summer break, students can forget as much as two months’ worth of the material they learned during the school year. This requires teachers to spend as much as six weeks reviewing last year’s material, rather than moving forward with new topics. But, there is a way to prevent this. Having children review and practice math and language skills over the summer allows them to retain what they learned the previous year and begin the next school year ready for new topics and skills. 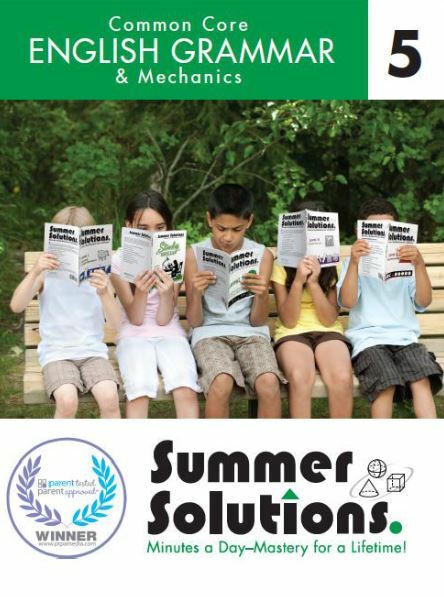 Summer Solutions combines summer review with distributed practice. The books revisit skills and engage students with lessons that take just minutes a day. 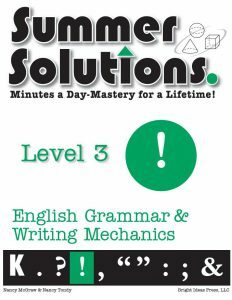 We recommend that students complete three lessons a week over the ten-week summer break to allow for maximum retention and maximum summer fun. Each book includes an Answer Key and student Help Pages. 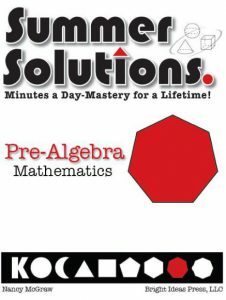 Our entire Summer Solutions line is available for purchase at summersolutions.net. These books provide review and practice of all the math skills covered at the grade level just completed, as well as material covered in previous grades. 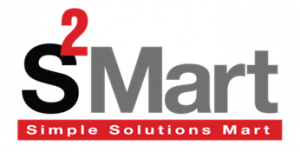 Both Common Core and Original Series are available for grades K-8. These books review language skills including the parts of speech, punctuation, capitalization, and spelling rules appropriate to the grade level. The Reading Comprehension series contains brief reading selections—folk tales, short stories, poetry, and non-fiction—followed by questions about story order, context clues, main idea, inferences, and author’s purpose. Series is available for grades K-6. 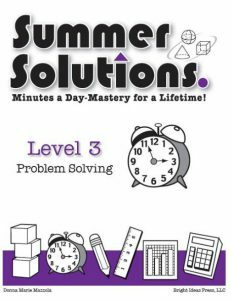 The Problem Solving series expands math concepts to include real-life problems and practical applications of the skills mastered at the grade level just completed. Series is available for grades 2-7. 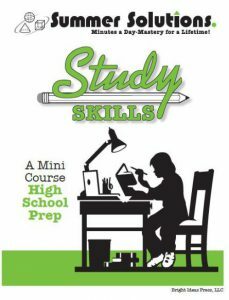 The Study Skills series is designed to address organizational skills, such as using graphic organizers, note-taking, summarizing, and test-taking strategies, while also practicing main idea, context clues, and memorization techniques. Series is available for grades 4-7 and High School Prep. This book presents and practices basic skills such as recognition of colors, letters, shapes, and numbers. It also covers sorting, counting, using patterns, grouping objects, identifying opposites, rhyming, and writing left to right. This book is for students entering kindergarten. When ordering, choose the level that matches the grade your child has just completed. For example, if your child is finishing second grade this year, choose Level 2. 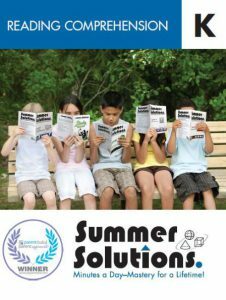 Summer Solutions books are designed to revisit skills and concepts that have already been introduced and mastered. The purpose is to retain what was learned over the past year and in previous years. 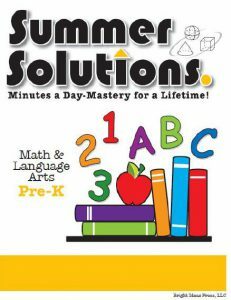 To learn more or download free samples, visit summersolutions.net.